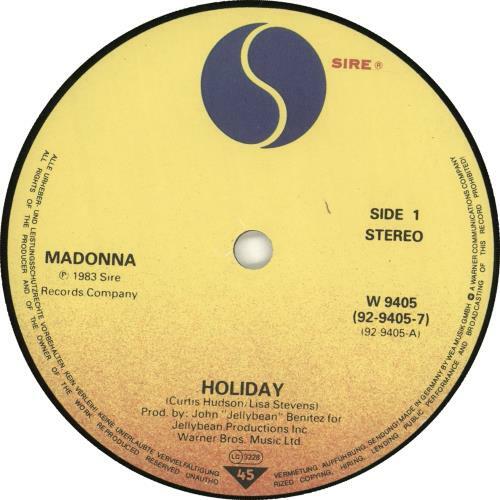 MADONNA Holiday (1983 UK issue solid centre 7" single, also including Think Of Me. 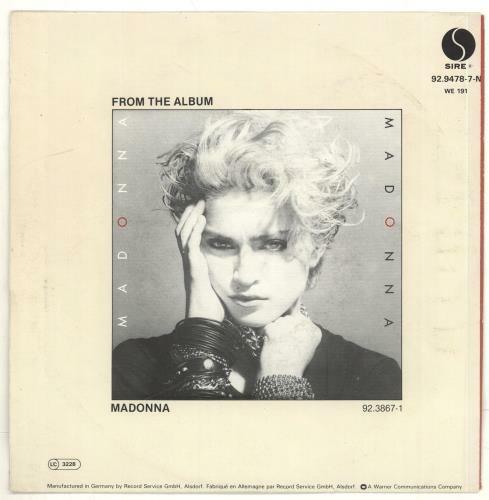 This was manufactured in Germany for the British market, the labels have the UK catalogue number 'W9405' but do not have GEMA/Biem printed, within a unique red & beige bordered picture sleeve advertising the 'Madonna' album on the reverse with both '92.9478-7-N' and 'WE 191' catalogue numbers. The sleeve displays some light ringwear and the vinyl shows only light signs of play).